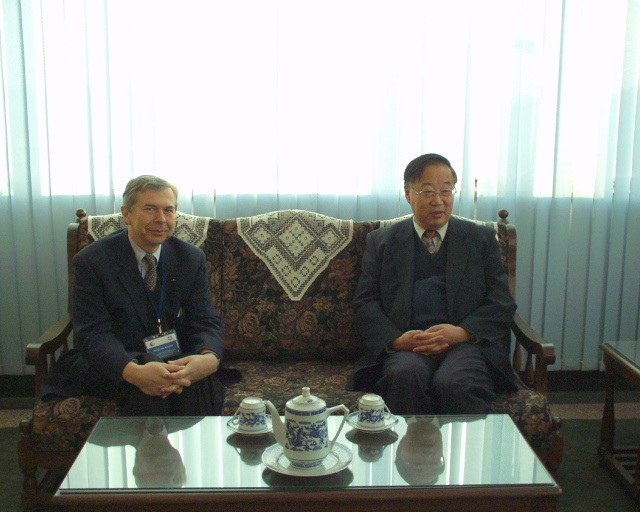 At the invitation of Dr. Qin Dahe，Administrator of CMA，German MPI Meteorological Institute delegation headed by Dr. 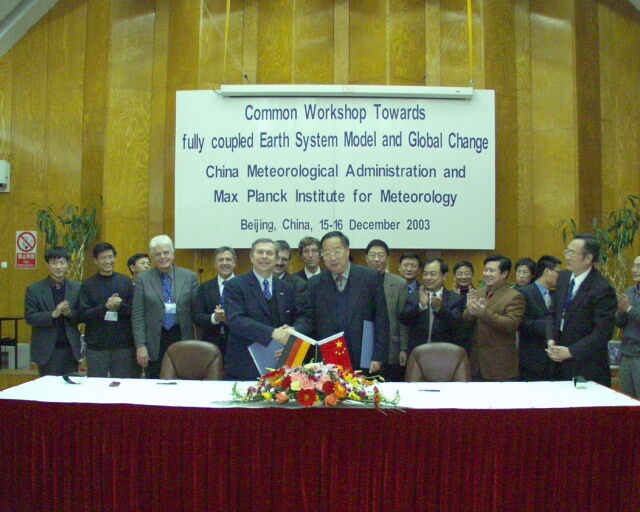 Guy Brasseur visited CMA from 15 to 18 Dec. 2003，the Common Workshop Towards fully coupled Earth System Model and global climate change was held. Director Zhang Guocai and Director Dong Wenjie attended the workshop. In the workshop, administrator Qin Dahe introduced CMA, and Dr. 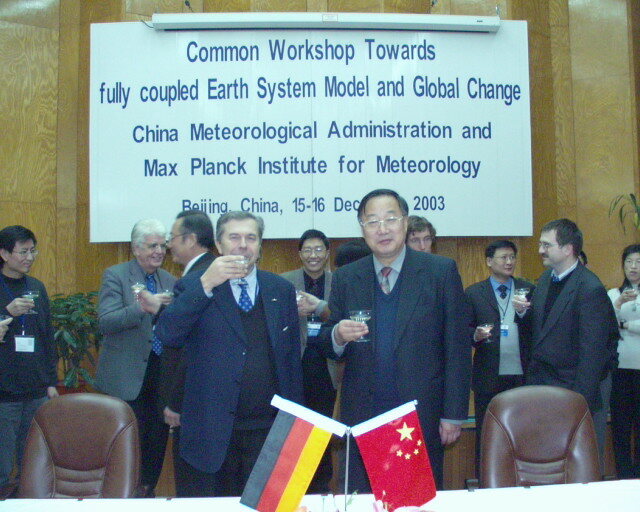 Guy Brasseur introduced German MPI Meteorological Institute. 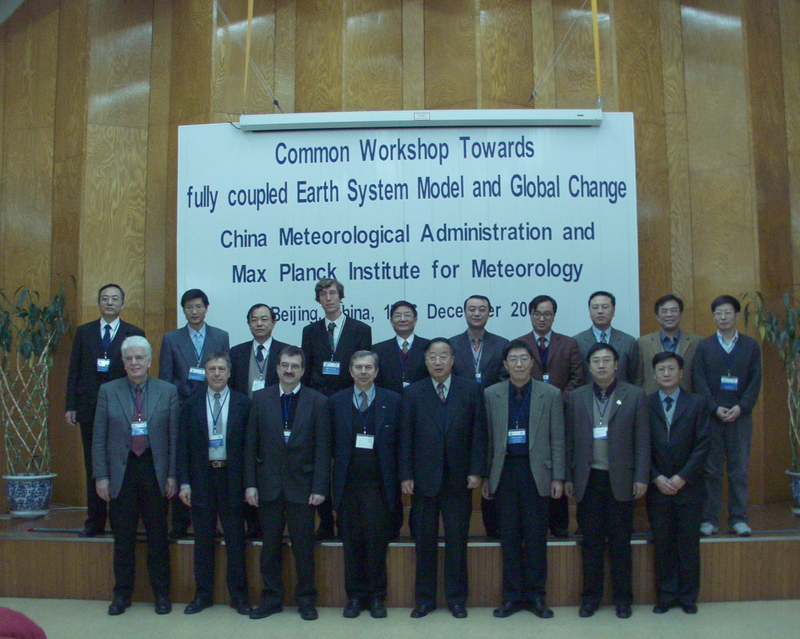 In the workshop, nineteen experts come from CMA and German MPI Meteorological Institute held a talk about fully coupled Earth System Model and global climate change. At the same time, the cooperation was chiefly talked about, and a meeting summary was signed. In summary, detailed cooperation manner was confirmed, application and exploitation of climate model was confirmed the prior field. After meeting, delegation visited National Meteorological Center、Chinese Academy of Meteorological Sciences and National Satellite Meteorological Center. German MPI Meteorological Institute delegation expressed thankfulness for entertainment of CMA.